Once you deliver a baby and settle into a routine, your mind might wander to shedding the weight you gained during pregnancy. Although you'll leave the hospital slightly lighter, having birthed your baby, you'll still have some extra pounds lingering on your frame. Part of this weight gain is retained water. You'll lose some naturally. Shed the rest with a focus on a healthy lifestyle, amid the chaos of adjusting to life with a newborn. Whether you want to lose water weight or actual fat, be realistic about how soon you will return to your pre-pregnancy size. A pregnant woman who was at a healthy weight before conceiving typically gains 25 to 30 pounds. 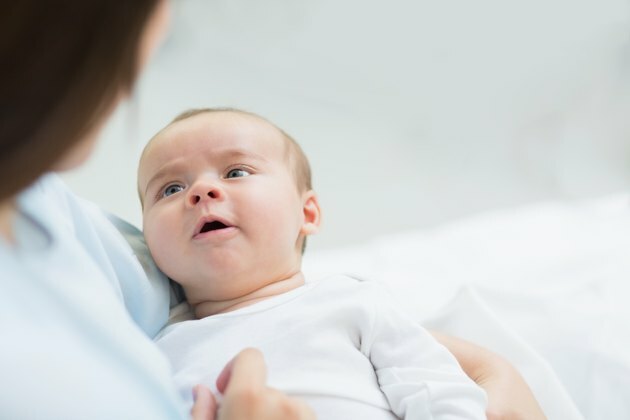 According to Babycenter, you can expect to lose about 12 pounds by birthing a 7- to 8-pound baby, a pound of placenta and a couple of pounds of blood and amniotic fluid. After birth, your body will naturally get rid of a lot of the water you retained during pregnancy -- so you might not even have to worry about doing much to lose that water weight. You might notice that your body produces more urine -- up to 3 quarts a day, potentially -- after delivery, and you'll probably sweat a lot more, too. You might lose up to 4 to 6 pounds of water weight during the first week; however, it depends on how much water your body retained while pregnant. Once you're past the initial water shedding, turn to tricks that work for new moms and others alike. If you feel like you're still bloated, boost your water intake -- as counterintuitive as it might seem. If you're dehydrated, your body will retain water, according to "Fitness" magazine; to rid your body of that extra water, return your body back to a state of hydration. As a new mom, you might find yourself thirstier than ever, particularly if you're breastfeeding. Your fluid needs increase when breastfeeding, so drink a glass of water every time you nurse and carry around a tumbler full of water to sip between feedings. Women who have gone through pregnancy aren't strangers to bloating, but they might think they can return to saltier habits when they deliver the baby. However, for every 400 milligrams of salt your body retains, 2 pounds of temporary water weight clings to your body, says Towson University. 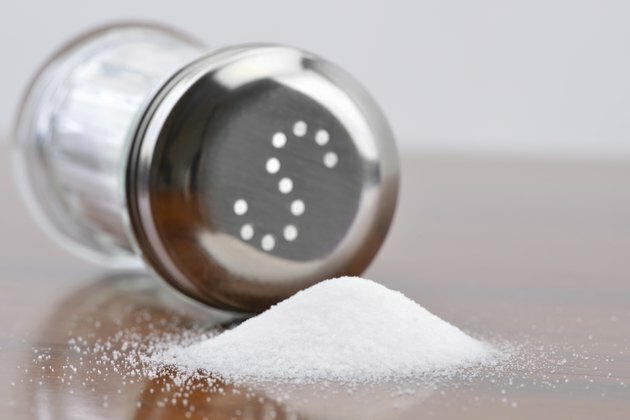 To avoid this effect, lay off the salt shaker and take a look at what kinds of foods you're eating regularly. Although processed, boxed or other convenience foods are helpful for an overwhelmed mother, they're not good for your body. Instead, snack on fresh fruits and vegetables, high-protein options like Greek yogurt and fiber-rich grains.